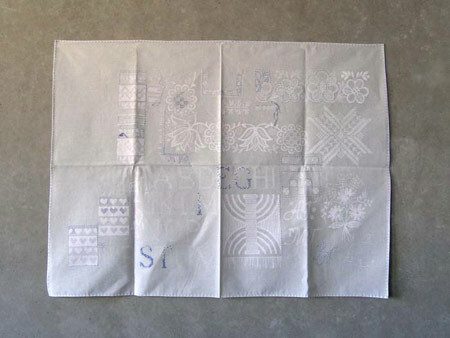 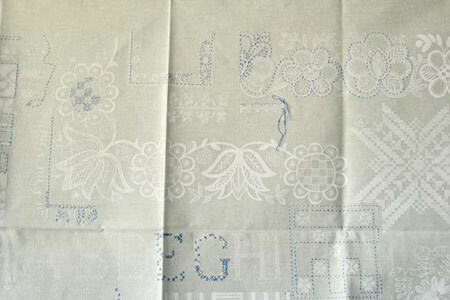 Piece of work from series of works with using old handicraft tracing pattern from soviet time womens magazine. 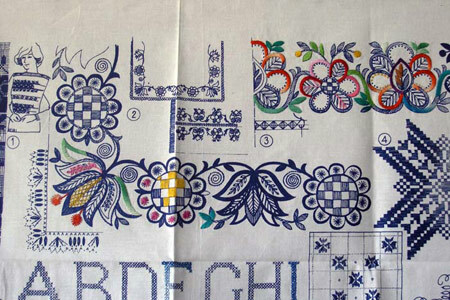 In my Brezhnev era childhood, the only Estonian women’s magazine was Nõukogude Naine (Soviet Woman), which included a few pages of fashion drawings, small photos from Western fashion magazines, and naturally, pattern supplements. 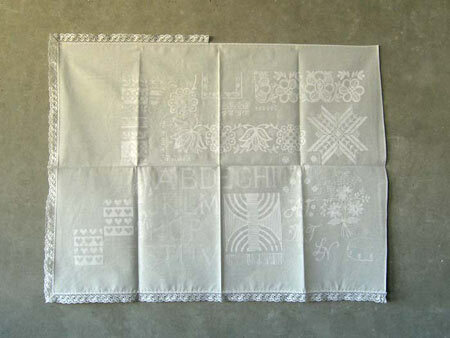 I printed a series of fabrics using one of these supplements. 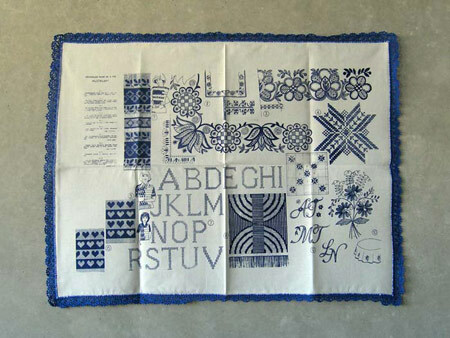 It included Estonian traditional patterns as well as the patterns then fashionable on sweaters, various embroideries and crocheted laces all together on this one sheet. 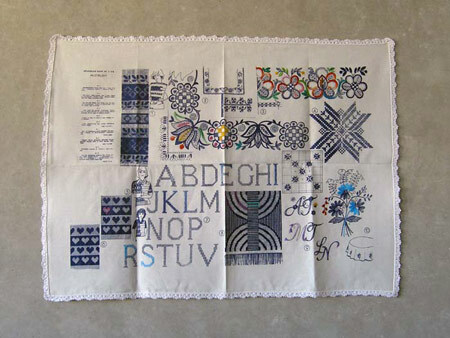 The result is a series of fabrics with a nostalgic tinge that remind people of different generations and different periods from their childhood.